83 spaces with full hook-ups and 50 and 30 amp electrical service. Hot showers, picnic tables, grills and easy access with all pull-through sites. I-20 and US Hwy. 601 (exit #92), just 0.7 miles on Hwy. 12. South Carolina’s first state park is located in the Sand Hills region. Features 9 fully furnished heated and air-conditioned cabins, 15 campsites with water & electricity, 2 large group campsites, a bath house with hot showers, a picnic area, and a playground. Pets allowed on leash. 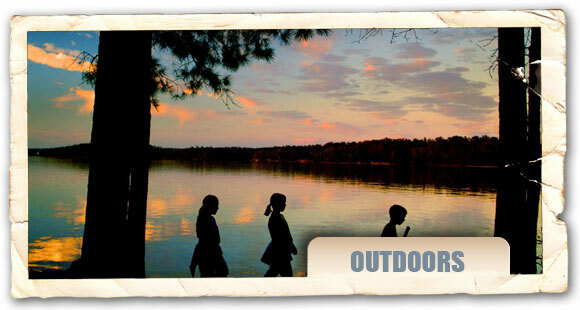 Fishing, boats for rent plus hiking trails on the park's 7,000 acres of forest. The 309-acre lake offers fishing and other recreational opportunities in a beautiful setting. An 18-hole championship golf course with full service pro shop is a popular attraction. Hours: Nov.-Feb. 7am-6pm, daily; March, Sept. and Oct. 7am-8pm, daily; Apr.-Aug. 7am-9pm, daily. This quiet 523-acre park provides a tranquil setting which is enjoyed by campers, day-users and nature lovers. The park’s 160 acre lake offers excellent fishing opportunities by land, boat, or fishing piers. Public boat ramp, boat rentals, picnic shelters, playgrounds, nature trails, and the Lakeview Hall meeting facility are available daily. Also available are a 27-hole Disc Golf course and 25 campsites with water & electricity. The campsite has a bathhouse with hot showers, a sewage disposal station, picnic area, playground, fishing lake, fishing boats and canoes for rent, tournament-level disc golf course, nature trails. Park hours: 9 am–sunset daily. Admission charged. Located 2 miles west of Chester on SC 72. (803) 385-2680. A world class 100 acre motocross training facility located in Chesterfield County with multiple outdoor and supercross tracks for the serious racers from all over the world. On site you will find a workshop with bike storage and a personal work area, full time mechanic, housing, full RV hookups with concrete pads, fully equipped fitness center designed with motocross racers in mind, schooling assistance, and recreational fun. Camps and programs range from one week to full time to fit the needs of the students (11 to 20+ years). Staff are experts in their fields to “assist the aspiring professional racer all the tools needed to succeed”. This newly opened outdoor amphitheater, near the (Anne Spings Close) greenway’s Dairy Barn offers another opportunity for the site’s 200,000 visitors. Featuring state-of-the-art technology, the venue welcomes higher-level groups and a variety of talent to the area. Situated in surroundings that will provide a quiet atmosphere during events, it features open-lawn seating and dark stonework that is perfect for listening to music and enjoying picnics. This is a county-maintained park located on the shores of Lake Wylie. Offers camping, picnic areas, swimming fishing and boating. 69 fully equipped campsites (advanced reservations accepted). Reservations are also recommended for the five picnic shelters. Open from daylight to dusk, Memorial Day Weekend through Labor Day with lifeguard on duty, 11 am-6 pm, A daily parking pass is required. I-77, exit 82-C.